markets where they operate. 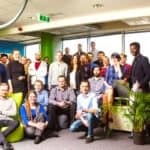 If fact, Bondora founder Partel Tomberg explained that the average interest rate for a traditional bank issued consumer loan for a prime-equivalent borrower in Estonia is 20-26%. Bondora is capitalizing on such mispricing and offering its investors highly attractive (if not sustainable) returns. Recently I corresponded with Bondora founder and CEO Pärtel Tomberg. Pärtel is an experienced entrepreneur who has launched various businesses for Quelle AG and Halens AB. 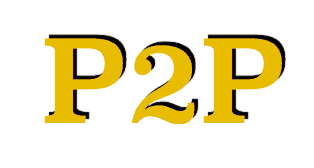 Pärtel shared his insight into present day operations and the future of his pan-European P2P platform. Georgia: Who are the founders of Bondora and what are their professional backgrounds? João Monteiro (Chairman) (a business partner of a very early investor, not technically a founder but considered as one by our team) – an international manager with the main focus on strategic repositioning and restructuring of business operations and supply chains. João is working for Kuehne+Nagel as Head of Global Business Development of Contract Logistics. Prior to the current position, he has been focusing on organizational development in LSG Sky Chefs, as well as in Roland Berger, the leading European management consulting firm. João holds an AMP of the Harvard Business School. Mark Noetzold – an expert in risk management, strategy development, efficiency programs (incl. cost cutting), process reengineering, organizational restructuring, and mergers & acquisitions. Mark is a member of various supervisory boards and a lecturer for risk management in Germany, Switzerland and Austria. Mark holds a Ph.D. in Economics from the University of Vienna. Mati Otsmaa – a C-level management executive with extensive experience in building e-commerce and financial service businesses globally. Mati has worked in a senior marketing capacity for Fortune 500 and FTSE corporations based in New York, London, San Francisco and Korea – particularly focused on consumer credit lending as American Express, Barclays, Citibank, Chase, Experian, HSBC, Hyundai and Providian. Mati has an MBA from the University of Southern California. Ago Samma (COO) – a senior operations manager in banking with a focus on consumer lending, leasing and insurance product development. For over two decades held various leading positions at Swedbank, the leading Swedish retail bank. Ago manages loan and investment operations at Bondora. Holds a BA degree from Estonian Business School. 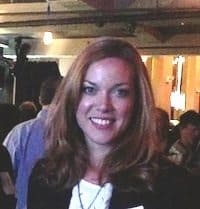 Daryna Purina (CIO) – an experienced IT-manager. Prior to Bondora was managing IT team at Structured Credit (FICC) department of UBS investment bank, where she was responsible for maintenance and performance of the credit analysis platform. Daryna overlooks all IT operations at Bondora. She holds an MA in Practical Psychology from Kiev National Linguistic University. Jevgenijs Kazanins (CMO) – an economist and a digital marketing entrepreneur. Previously spent a number of years in digital marketing holding a MD position at Havas Digital and co-founding Campalyst, a social media revenue optimization software developer. Jevgenijs is responsible for customer acquisition and retention at Bondora. 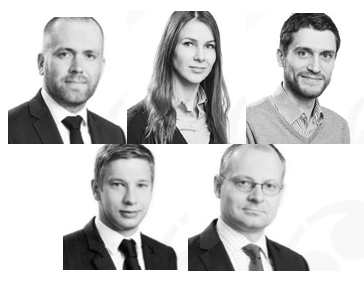 Holds a BA in Economics from Stockholm School of Economics branch in Riga. Martin Rask (lead architect) (founder) – a qualified system architect and a senior software engineer with extensive experience in large-scale IT systems. Previously to Bondora Martin developed IT-projects for many large Scandinavian multi-nationals such as Elisa, Sanoma and Alma Media. Martin is the co-founder of Bondora and the lead architect. He studied Economics and Computer Science at Tartu University and Estonian Information Technology College. Mihkel Tasa (general counsel) (founder) – an attorney with a wealth of experience in mergers, acquisitions and bond issuance. Mihkel is also the founder of Concordia Attorneys at Law and the Chairman of the Supervisory Board at Helmes AS. Mihkel is the co-founder of Bondora and the general counsel. 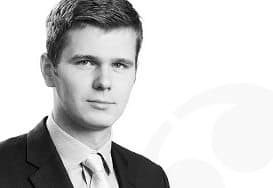 Holds a BA in Economics from Tartu University and has studied law at Hamburg University. 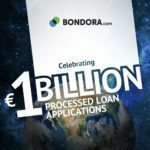 Georgia: Please share the history / background of how Bondora was launched as a P2P lending platform. Pärtel: Bondora is effectively a typical dorm room startup. The idea started to evolve early in 2008 after meeting my initial investor at a dinner party. I was in the second year of my undergraduate studies back then. The financial crises had already hit, high interest short term lenders were growing very rapidly and unemployment was increasing fast. I had initially planned to enter investment banking but with the collapse of the industry the idea of building a more stable, open and accessible marketplace seemed more attractive. We did not [myself, our investor and the team we put together] did not have any relevant consumer credit and marketing experience. Personally I had crowdfunded a life-changing holiday when I was in high school, however, that was about all the credit experience we had. Nevertheless, we had strong motivation and belief that we are able to build a better service than traditional banking was able to offer both borrower and lenders. Since getting the team together we had to figure out and build up every process around attracting borrowers, underwriting loans, collecting payments and bad debt and raising capital. The experience since then has been amazing and we have learned a great deal. In 2013 after closing our first external round of financing we brought in an experienced management team and a board. We now have a team of over 40 people. All core financial operations are managed by seasoned bankers and the founders are now more focused on combining latest technology to significantly improve the processing capacity across all fronts compared to traditional banks. We believe that we are the only company in the world that uses the same system, brand, website, standardized processes and a single team to manage operations in 4 loan and over 30 investor markets. 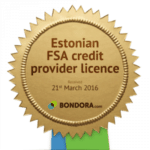 2011 Winner of the “Best Estonian E-service of 2011” award, and quarter finalist at the World Summit Awards. 2014 (August) Major milestone reached: €22 million in paid loans and €3 million in returns through interest paid to investors. 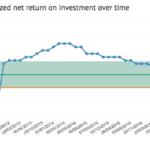 99% of investors who have invested over €10,000 have earned over 10% net annualized return. Average annualized net return for these customers is above 20%. 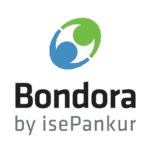 Georgia: Explain the rationale behind rebranding as Bondora (from isePankur). Pärtel: We wanted to communicate the company’s brand, positioning and message seamlessly across multiple borders, cultures and languages using a consumer friendly approach. This was difficult with isePankur as it is very hard to pronounce especially as we run TV and Radio ads in nearly 7 languages across Europe. We wanted the brand to represent the key aspects of our service. A bond. We further expanded bond into a brand Bondora to create a welcoming, positive feminine name that can truly represent a customer centric global money market. Georgia: Who are your typical investors? Pärtel: Our typical investors are entrepreneurs, middle or senior level executives in mid-sized and large companies, senior level engineers or finance/banking professionals. Typical investors are active investors in other asset classes and see Bondora/peer-to-peer lending as part of their alternative investments portfolio where they commit up to 10% of their total assets. Geographically most of our investors come from Germany, Austria, Switzerland, UK and Netherlands followed by Scandinavian markets. Georgia: Who are your typical borrowers? Pärtel: Our typical borrowers represent the people around all of us. They work in offices, retail or manufacturing but also include Parliament members, artists, celebrities and every all other parts of the society. Statistically speaking our customers are average and the socio-demographic are closely correlated to each of the market’s population in the 21 to 55 year old age bracket. We have managed to attract a very broad based acceptance. We have not focused only on specific market segments (e.g. based on FICO or other scores) and instead try to focus on the product that can bring together many people. We welcome all types of borrowers and try to find a risk-adjusted loan that fits their needs regardless of their background. 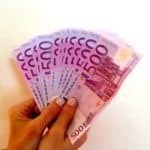 Georgia: What is the typical investment amount? Pärtel: Average investment per investor per loan is €25 ($33). There are more than 100 investors per each issued loan. Median investment balance of the active investors is €7,000 ($9,000). Until recently there was significantly more supply of capital then demand which restricted the growth of the investment balances. We have recently launched a number of technological upgrades that have boosted our processing capacities and hence increased the size of the marketplace. The investment amounts have started to quickly grow again. Georgia: What is the typical loan size? Pärtel: The typical loan sizes are correlated with the average net income and hence dependent on the country of the borrower. I’ve listed the loan sizes per country below. Georgia: What is the typical interest rate to the borrower? Pärtel: All our interest rates are risk-adjusted and depend on the regulations and economics of the specific markets. Rates range from 12% to 34%. Single digit interest rates in personal loans segment are not common in the countries where we operate. 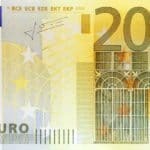 For example a prime customer in Estonia would pay 20-26% interest rate if they’d borrow from the largest retail bank. The lack of competition and innovation in many of the European countries has created the opportunity for us to come in and provide consumers with a much stronger product than the traditional lenders are able to provide. Georgia: What is the average credit score of the borrower? Pärtel: We are not able to define the average score of the customer as there are no direct FICO equivalents in Europe due to strong privacy protection rules. However based on our internal credit models we found that the average scores of our customers, if scaled to FICO, are very similar to average FICOs of US consumers (http://www.credit-report-101.com/credit-score/average-fico-score.html#Distribution). A typical borrower based on this classification would be considered near-prime in US. Georgia: What is your underwriting criteria? Who performs your underwriting? Pärtel: We have a very thorough underwriting and data verification process performed internally. The process uses data from external credit bureaus, banks, supporting documents provided by the borrower as well as number of big data sources. Each borrower will verify their bank account details, mobile number, email address, postal address, personal and ID document details. Additionally applicants need to verify either their income or income and credit liabilities. All of the data on the borrower is used in credit scoring and affordability calculations. There are over 10 affordability calculations that are done in order to ensure that customer does not have to jeopardize their lifestyle because of taking a new loan. Georgia: What distinguishes your platform from other P2P lending platforms? 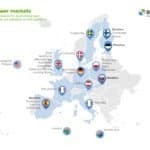 Pärtel: We are the only cross border P2P lending platform that allows investors all across Europe to seamlessly diversify their investments across a number of geographies. We are also open to accredited investors outside of Europe however we do not actively engage in marketing to these segments. We have a broader mix of borrowers allowing lenders to diversify across a number of risk segments. We allow borrowers to choose durations from 3 to 60 months instead of only having 1 or two options available as common to platforms all across the globe. We have delivered net annualized returns double of the US platforms and up to 4 times higher than our European competitors. This is due to our strong in-house risk management and very strong collections team. We are the only platform in Europe that makes all of our data publicly accessible similar to the US platforms. (More information here https://www.bondora.ee/en/invest/statistics/data_export Investors can filter out borrowers using very granular criteria when investing on our platform). Georgia: What regulatory regimes are you governed by? Pärtel: We are authorized and regulated in the United Kingdom by the Financial Conduct Authority (FCA). This makes us subject to a number of laws and regulations in the UK that govern consumer protection, protection of lender’s, internal control processes as well as marketing. Our processes are further regulated by AML/KYC regulations. Regulations on personal loans have been harmonized across Europe over the past 4 years although there are still country-specific differences. 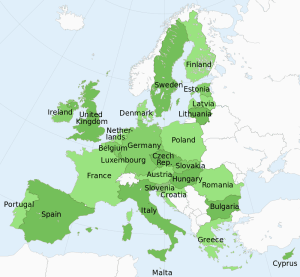 Each country has different rules on interest rate and APR caps as well as licensing requirements. 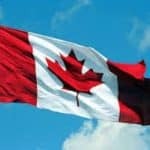 The four loan markets where we operate today have relatively liberal laws that do not require lending licenses although this is soon to change in many markets. We use [a globally recognized advisory / consulting firm] to review every market we want to enter. They initially conduct a comprehensive legal study on various regulation that will be applicable to our business model. This is analysis primarily centers on consumer credit regulations however lender-side areas in relation to the secondary market are also thoroughly tested. The results of the study are factored into our market entry decisions and have strongly guided the reasons we are currently operating in these specific four markets. After the board and management have approved a market entry our accounting firm localizes our contracts and legal structures to ensure compliance with local regulations. Therefore every added market increases our legal costs and complexity as there is no jurisdictional reciprocity available for companies active in credit or peer-to-peer lending. We will need to change our legal structure next year in order to continue expanding in the Eurozone as most other countries in the currency union have restricted credit related services to companies without bank licenses. Therefore we are going to set up a partnership with a bank similar to the partnerships LendingClub and Prosper use in the US that will originate loans from its balance sheet. A bank/credit institution license can be used in jurisdictions across Europe so the licensed bank will only be directly regulated by its home country FSA. 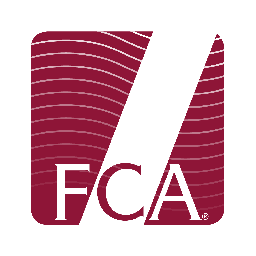 Georgia: You applied for and received UK FCA approval. Please explain why you went through this process and do you expect to operate within the UK? Pärtel: We saw the need to apply for the license in order to continue targeting UK based investors as well as to increase the credibility of the company. We wanted to assure the public that we have strong control processes, management and regulatory oversight. This is important both to prospective lenders and borrowers. We have no plans to target UK based borrowers. In the coming years we will likely apply for more “traditional” licenses from either our local FSA or other regulators in Europe. There are still a number of service areas and geographies that are restricted until we have a full blown credit institution license. Georgia: You are open to borrowers in Spain, Finland, Estonia and Slovakia, do you plan to open your platform to other countries and which ones? Pärtel: Yes. We will enter a number of new markets in the first half of 2015. We are looking to expand all across the Eurozone. The Board has not yet approved the specific roll-out plan. We are currently evaluating between a strategy of continuing to target small and mid-sized markets vs. expanding to the largest Eurozone markets. 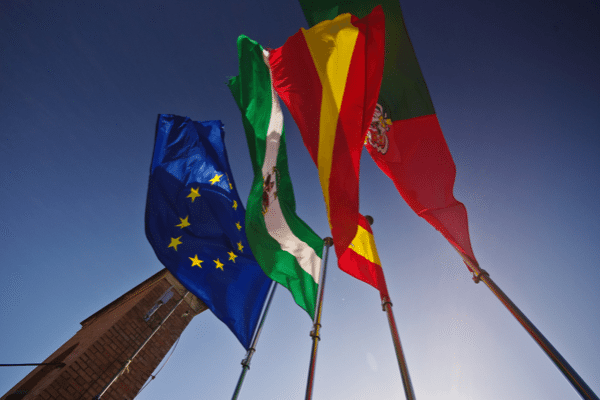 We have already developed the technology, marketing platform and operational infrastructure to roll out to any Eurozone country in less than 3 months. The expansion decisions are more focused around identifying the markets with most growth potential and least legal barriers to entry. Georgia: What is the default rate for your loans? What is the loss rate? Pärtel: The net annualized return (after bad debts) on Bondora is above 20%. Historically the default rate ranges between 1 to 10% and recoveries have historically been between 40 to close to 100%. We have been able to deliver stronger recoveries than anywhere across our industry due to having an in-house dedicated collection team that handles “soft collection” as well as legal collection. We take all cases delinquent more than 60 days to court on behalf of the investors and on our cost. Defaults and loss rates depend on the risk segment. All prices are risk adjusted so net returns converge over time as lower risk segments get lower rates and vice versa. The current portfolio default rate calculated according to US standards (accounts delinquent 120+ days) is 5.1% however in Europe a 60 day delinquency is used and the respective figure is 6.35%. 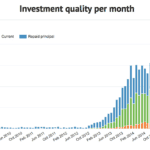 Default and recovery rates on static pools provide a better overview of the changes over time. Default is based on EU standard. Georgia: Do you expect to expand into the United States? Pärtel: The US is certainly an interesting and largest developed credit market however we will focus on creating a similar market in Europe by expanding all across Eurozone. Although the combined GDP of the euro area is 24% lower than that of the US, the population is 7% higher representing an enormous growth opportunity. We are however in negotiations with a number of US based institutional investors. Based on the success of these discussions we might investigate how to more actively target accredited investors in US. Georgia: In your email to me you mentioned average returns of over 10% and on your website you reference returns of over 20%. Please explain this discrepancy and if such returns are realistic considering the loss rate and average interest rate of the loans issued. Pärtel: In my email I stated that 99% of investors have earned at least 10% and the average is above 20%. This means that the lowest quartile returns are above 10% and highest quartile returns at approximately 25% with average being slightly above 20%. We however avoid using the average net return track record stats in our communication, other than in fact sheets and pages that are directly linked with our statistics, as we found many conservative investors to be put off by these high return rates when used in core marketing messages. 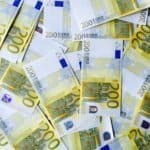 Many investors, especially ones using other platforms in Europe, simply thought that these returns are too good to be true and believed that it must be a scam. Therefore our marketing team decided to market returns of above 10% instead, as counter-intuitively potential investors were more likely to sign up when these minimum net return were shown rather than the actual averages. Georgia: Do you have any intention to enter the business lending market? Pärtel: No. We tested a business lending service in 2010 to 2012 and concluded that there are almost no synergies between a personal loan service and a business loan service from the stand-point of the borrower and organization. The risk and sales dynamics are very different both on the borrower side as well as the investor side. We do not rule out anything in the longer term but we are much more focused on building a consumer brand. 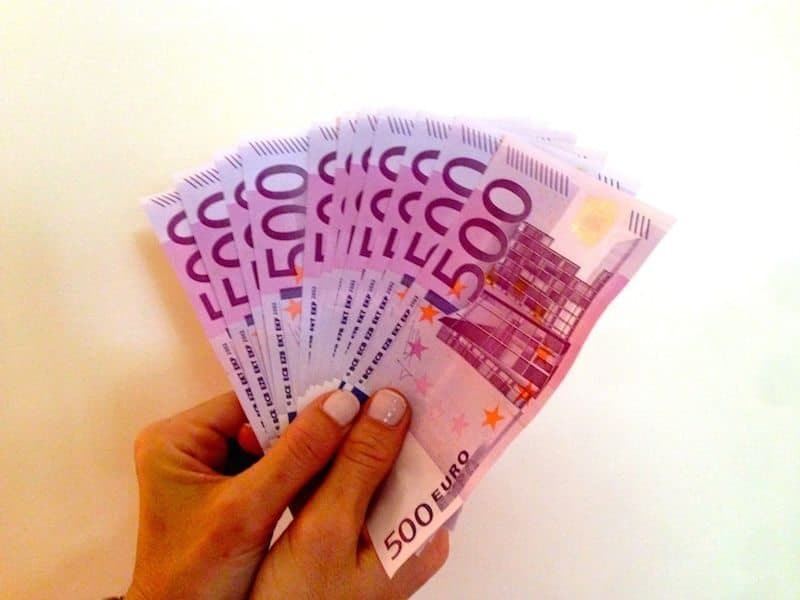 We think that traditional banks have certain sustainable competitive advantages when it comes to business lending, which they do not have in personal loan segment. Business loans should be coupled with advisory services to create value for the entrepreneurs and banks have a very strong infrastructure for that. Unfortunately they are not using it. This entry was posted in Featured Headlines, Global, Investment Platforms and Marketplaces and tagged bondora, estonia, europe, georgia quinn, isepankur, p2p, partel tomberg, peer to peer. Bookmark the permalink.